Hi guys! Quite I long while back I mentioned a haul I did over at Hypnotic Polish. Well, I still haven't posted about all the beauties I got, so today I am showing you another one: Dance Legend Comet Tail. 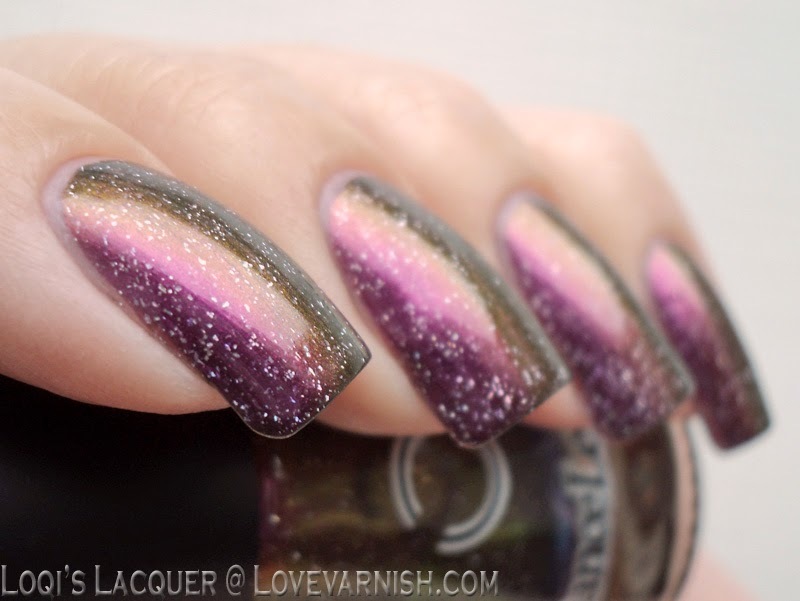 Comet Tail is part of the Galaxy collection of which Deborah has already shown you 3 other colours here. 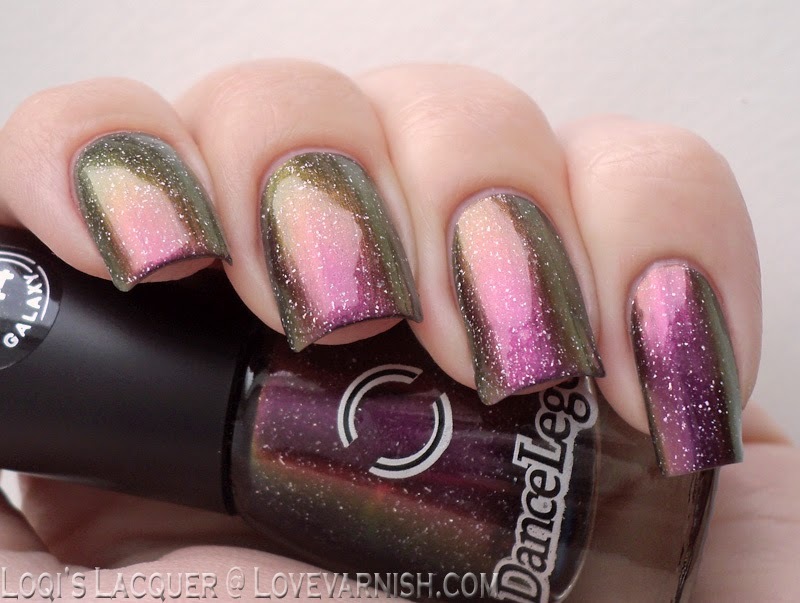 When Deborah posted her fantastic swatches of these lovely polishes I couldn't wait to get my hand on them! So when I went to pick out my haul this was the first polish in my basket. I just can't get over how gorgeous this polish is. I really need the whole collection! What do you guys think? Beautiful swatch! It looks so lovely on you! I love this one so much! I'm glad I have it, or I would be wanting it now! <3 Haha, Deborah always enables all the Dance Legends, and now you are too! 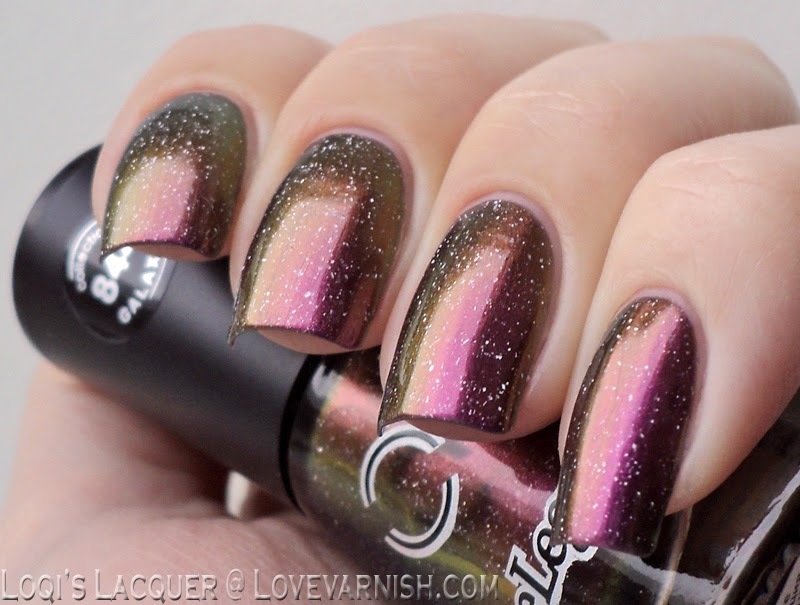 This is one of those shades that would make me stare at my nails all day long! Gorgeous! Such a pretty polish! Looks great on you! This looks Sooo awesome! Like suupper amazing! Great swatches! 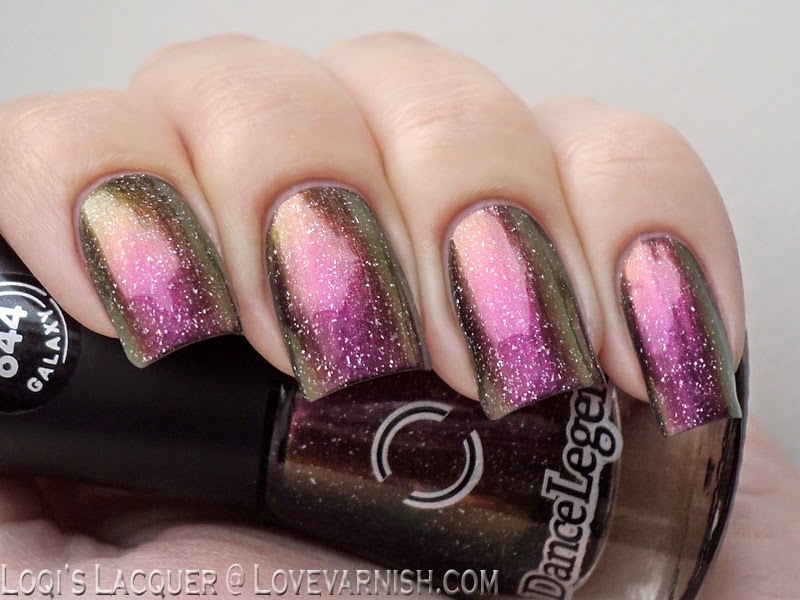 The holo sparkles really make this polish stand out! Gorgeous! 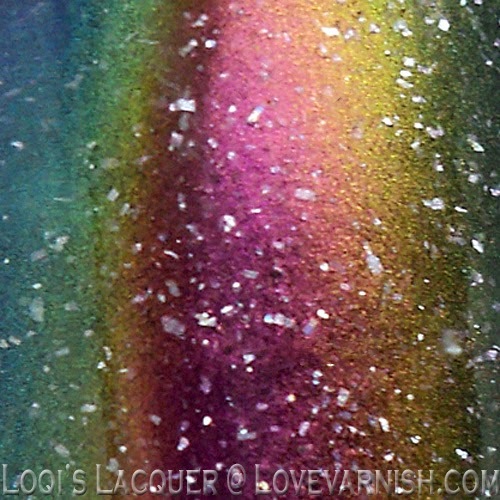 I can totally see why it's part of the "Galaxy" collection, the shimmer flecks are so pretty! Wow, that is beautiful! I don't normally like multichrome polishes but I love those holo flecks! *gasp* this is stunning! 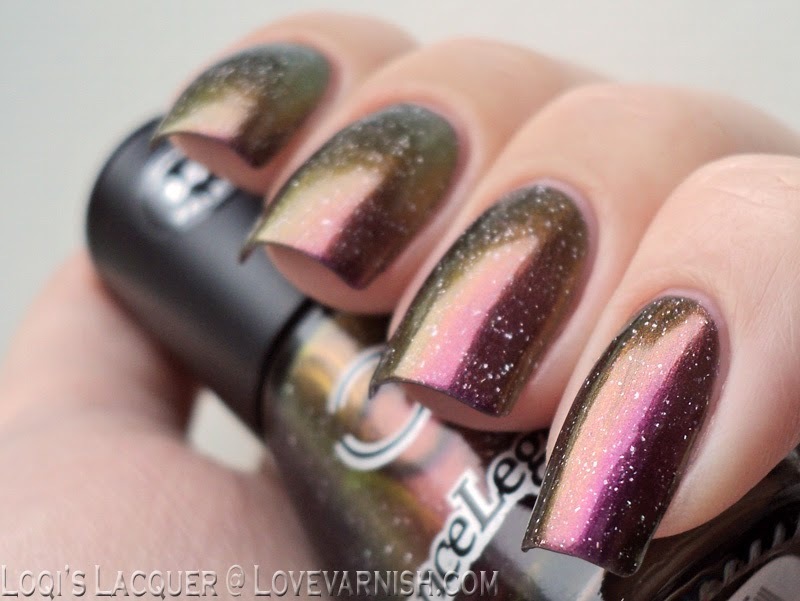 I am a huge sucker for flecks and multichromes so this is an instant winner for me! I agree, this collection has a good name! They give it a totally different feel! Haha that's what I am doing right now! The white flecks mixed with the mulitchrome gives this a sort of grunge look that I think is amazing! Holy moly that is stunning! Love Dance Legend! Oh em gee... that thing is stunning! Gorgeous and I love the little flecks of white.